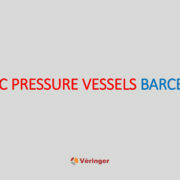 International company in Barcelona is looking for a Plastic, FRP Pressure Vessels Engineer to be in charge of all engineering activities in mechanical discipline related to Plastic Pressure Vessels for specific projects. Elaborate engineering activities: Design and calculations of pressure vessels, storage tanks, drums, columns, heat exchangers, etc according to codes, prepare technical specifications, material requisitions and documents for purchase order, prepare technical bid tabulations and offers analysis, cheking and review of vendor’s drawings and documents. Ensures that the discipline engineering deliverables are compliant with project QHSE plan and Technip & discipline engineering processes & standards. Bachelor or Master Degree in Industrial Engineering, specializing in Mechanical.